I was completely inspired last October when I did the Marine Corps Marathon alongside some of the men and women who had recently served our country. Throughout the 26.2 miles, I saw signs for the Wounded Warrior Project. Intrigued, I did a little research when I came home. What I discovered was a cause worth racing for! The importance of this cause is obvious, and the innitiatives and events of the WWP are awesome opportunities for families to come together and have a great time for a great cause. The Soldier Ride is just one of the events of the Wounded Warrior Project. There are running races and other gatherings which promote the physical well-being of not only the soldiers, but all involved. There is a Soldier Ride in Charlotte, NC on May 21, 2011. I am excited for my family to take part. Take a look at the calendar for an event near you! 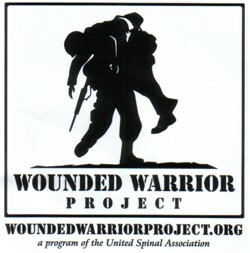 And let me know if you have done any of the Wounded Warrior Project events.